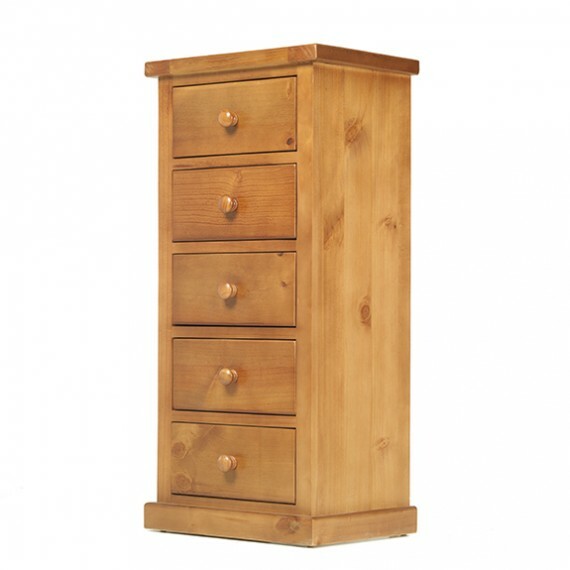 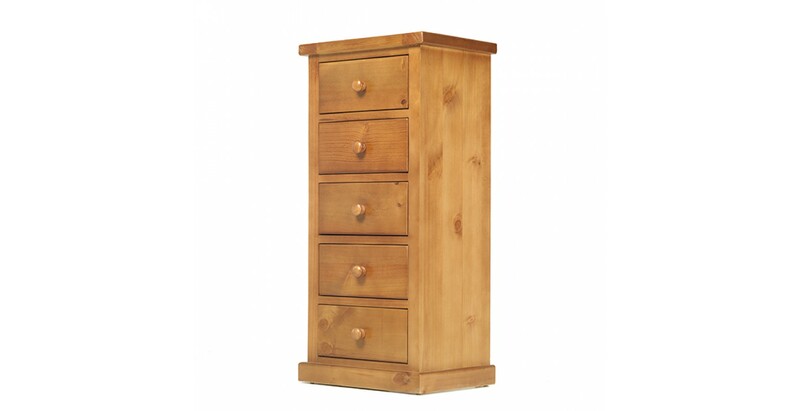 With its winning combination of elegant country style and clean-lined contemporary appeal, this solid pine chest scores highly when it comes to beauty and practicality. 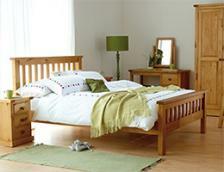 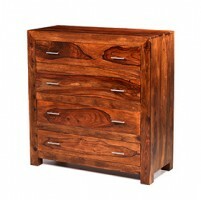 Crafted using traditional methods for strength and durability, this is furniture of a quality that belies its price tag. 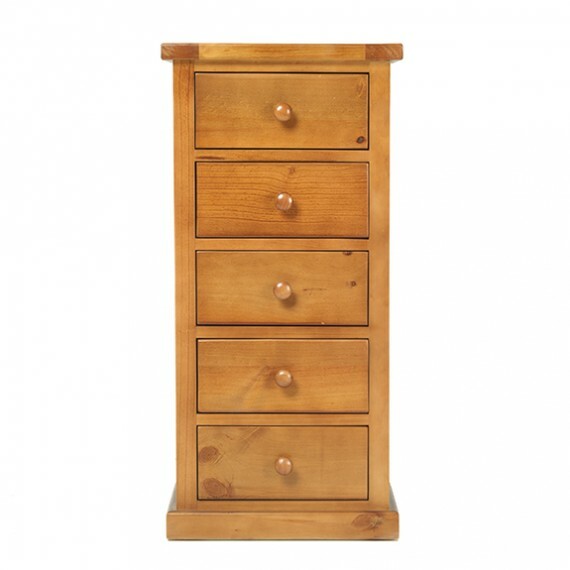 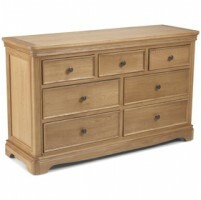 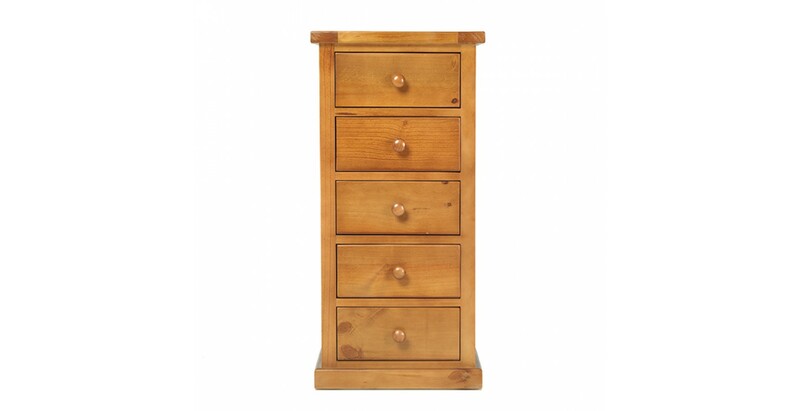 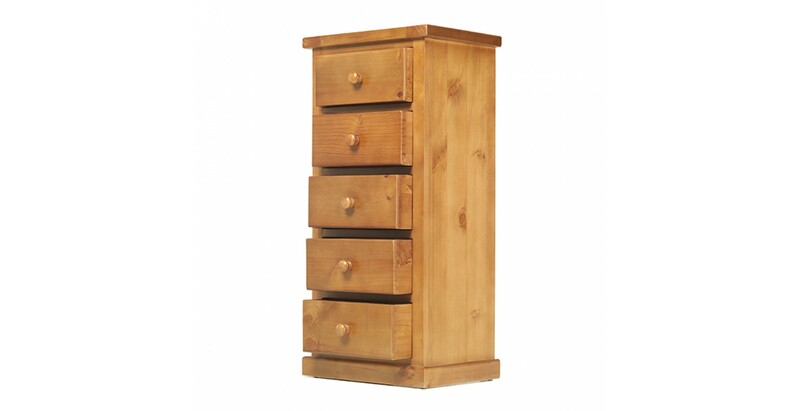 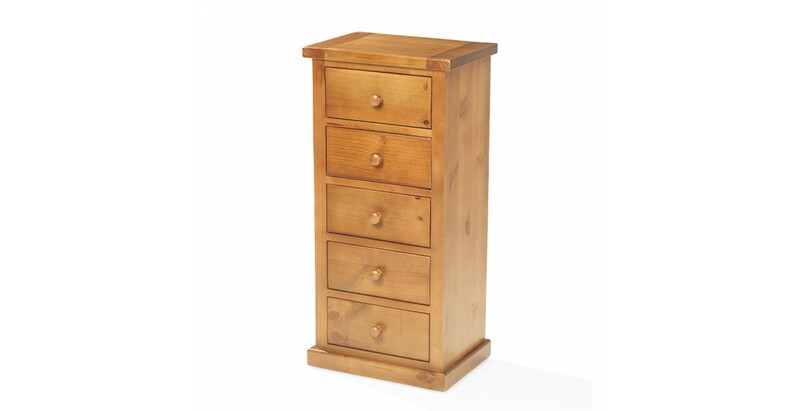 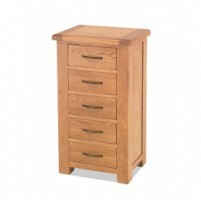 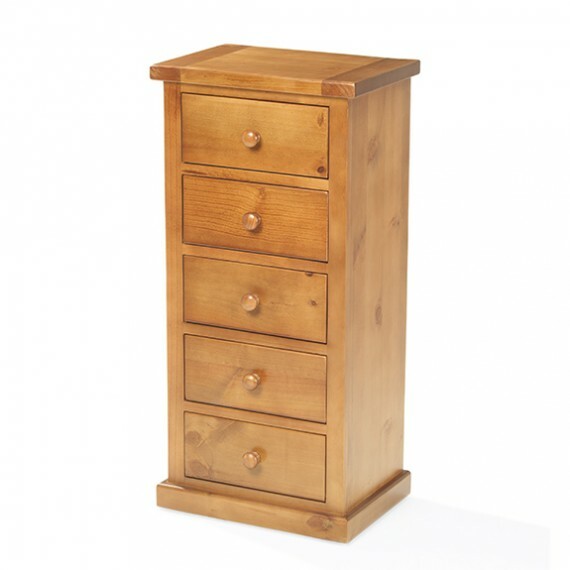 The light oak stain and protective lacquer enhance its natural good looks, and the five dovetailed drawers with chunky knobs will keep your bedroom clutter-free. 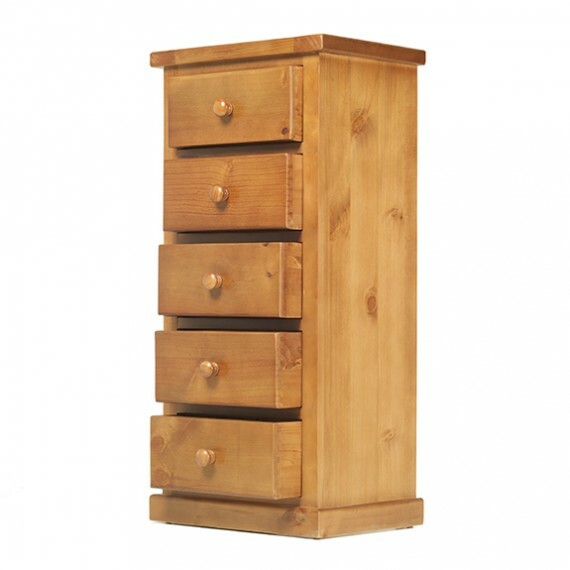 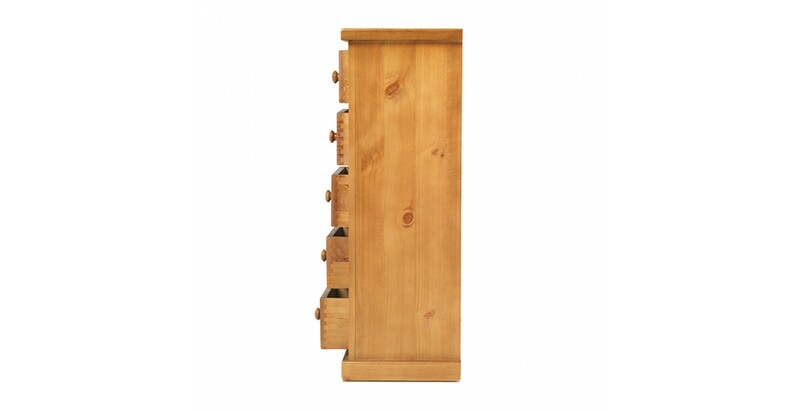 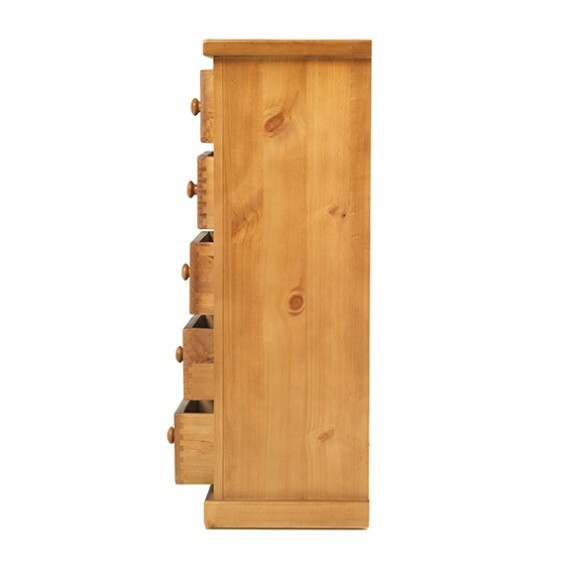 And because it stands on a compact footprint, it's great for making use of smaller spaces.